OnePlus 6T has been out for three months now and we're three or four months away from the release of the next OnePlus flagship i.e., OnePlus 7. There's not much we know about what features the 7 will have, though we've made quite the wishlist of what we want it to have, but we do know that the OnePlus 7 is not going to be the OnePlus's first 5G headset. The above image allegedly shows the top part of the OnePlus 7 alongside with OnePlus 6T, with only the screen, covering the edges of the phone outside the holes for various ports and sensors. A lot can be uncovered from this image, and the first thing you may notice is that there is no notch, no hole punch, no obstruction or intrusion into the screen of any kind. There's a larger grill above that beautiful, screen than one over the 6T, but here we can see that these cases are covering the prototype of OnePlus 7. The case on the 6T stops immediately after the top speaker bracket, but the case on the OnePlus 7 extends a bit higher. You can see a gap between the top of the frame and the top of the case through the large circular port that looks an awful lot like a camera port, and sitting over to the right is another pill-shaped hole about the size of a notification LED and ambient light sensor. If OnePlus 7 does go to the slider route, we hope that OnePlus uses the manual slider instead of motorized slider. There's an intense tactile feel when clicking out a manual slider. These reports are just a hunch for now, but there are possibilities that some of the information provided here is true. Google Pixel 3 Lite camera samples leaked! Google Pixel 3 and Pixel 3 XL had great success and now leaks as well as rumours about the Google Pixel 3 Lite have started, revealing some key specs about the smartphone. The best specs in Google Pixel 3 Lite are reportedly the Snapdragon 670 SoC and a 3.5 mm audio jack, however, they said that it will come with an advanced 12-megapixel sensor for the rear camera. According to a report by Russian site Rozetked, the Google Pixel 3 Lite camera samples have been leaked including the shots captured in both indoors and outdoor conditions. The leaked camera samples have captured a good amount of detail of the objects in dim-lit conditions as well as under heavy exposure. When it comes to the hardware of the camera, the Google Pixel 3 Lite will be packed with a 12MP rear and an 8MP front cameras respectively. However, the reports said that the Pixel 3 Lite comes with some advancements with their camera when compared to Pixel 3 and Pixel 3 XL. But we still have to witness it’s performance beside Pixel 3/XL. Coming to the specifications, it is expected to be a 5.56-inch Full-HD+ IPS display rendered with 1080 x 2220 pixels, 18.5:9 aspect ratio and 444ppi. It is powered by the octa-core Qualcomm Snapdragon 670 SoC which is paired with Adreno 615 GPU. This device might include 4GB RAM and 32GB of internal storage. The battery is packed with a 2,915mAh battery with Qualcomm's Quick Charge 4+ support. The Google Pixel 3 Lite price has not yet been revealed, however, reports have suggested that the device could be priced between the $400-$500 mark. It will include USB Type-C port, a 3.5 mm audio jack and a microphone grill at the bottom. Follow us regularly on www.reviewkopcha.com. Stay tuned for more updates on newest tech. That’s right, the 10nm processors are finally here! After multiple delays and days of speculation, we finally a first look at intel’s newest line of processors. There new processing capabilities were showcased on stage, alongside a list of improvements from the previous generation of processors! LG showcases world’s first rollable television! CES this year has been a good one for LG, marked by innovation in the TV space as well as some exciting new partnerships. Firstly, LG introduced the LG Signature Series OLED TV-R, a one-of-a-kind rollable OLED Television. The product is expected to debut in fall, no details on the price have been confirmed yet. Now, moving onto the partnerships, LG revealed that it will team up with Apple, to avail Apple Airplay 2 support as well as an official iTunes movies app released on LG’s ThinQ TV line. This move took a lot of people by surprise, as Apple usually refrains from such open ecosystem collaborations. Furthermore, the company is partnering with Google and Amazon to provide Google Assistant as well as Alexa support for it’s television lineups. Google Assistant can now live translate conversations! If you were a fan of Star Trek’s speech-to-speech translation tech, Google has the product for you! Google Assistant’s latest feature allows it to live translate conversation with extreme accuracy. This technology has been a science fiction dream for a while now, but Google is finally making it happen. Furthermore, a variety of new devices(mainly smartwatches) now support Google Pay, including the Alcatel 1X, Scallop 2 and many more devices. Stay tuned for more CES 2019 news, in Part-2 of the CES 2019 roundup! See you around folks! Honor View 20 is set to launch in the Indian market. It is the international model of the Honor V20 and is expected to be revealed on January 29th. Amazon India has unveiled that it will be selling the Honor View 20 exclusively, however the price and availability are not yet clear. The price of Honor V20 in China starts at CNY 2,999 (around ₹30,000) in China for the 6GB RAM + 128GB storage variant and it goes up to CNY 3,499 (around ₹35,000) for the 8GB RAM + 128GB storage variant and CNY 3,999 (around Rs. 40,000) for the Moschino Edition. The smartphone is already being sold in China and is expected to be available after the launch on January 29 in India. The Honor View 20 is expected to pack similar specifications of the Chinese model. The smartphone will house a 6.4-inch full-HD+ (1080x2310 pixels) display and 398PPI pixel density. It is going to be powered by the 7nm octa-core HiSilicon Kirin 980 SoC and sports up to 8GB of RAM. The Honor View 20's internal storage is expected to be 128GB or 256GB, as per the variants. External memory expansion is mostly not expected in this smartphone. The smartphone packs a 4,000mAh battery and connectivity features like Bluetooth v5.0, WiFi etc. It supports USB Type-C. 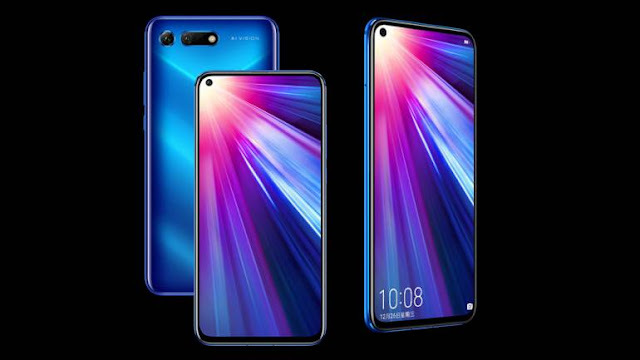 The Honor View 20 sports a dual-camera on the back with a 48-megapixel Sony IMX586 shooter with an f/1.8 aperture and a secondary 3D ToF sensor. It sports a 25-megapixel front camera with f/2.0 aperture and fixed focus. Salute to Speed! - OnePlus 6T McLaren Edition! 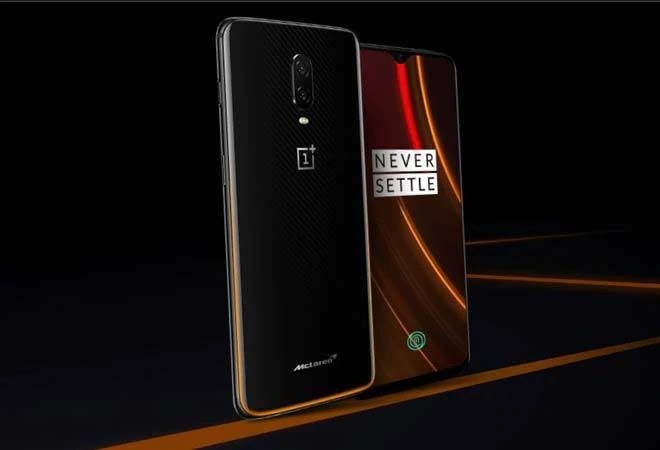 OnePlus 6T McLaren Edition is the successor of OnePlus 6 & a different variant in OnePlus 6T. It has been released in October 2018. The phone's display is rendered with 6.41-inch display with a resolution of 1080 by 2340 pixels. It is packed with 3,700mAh battery. 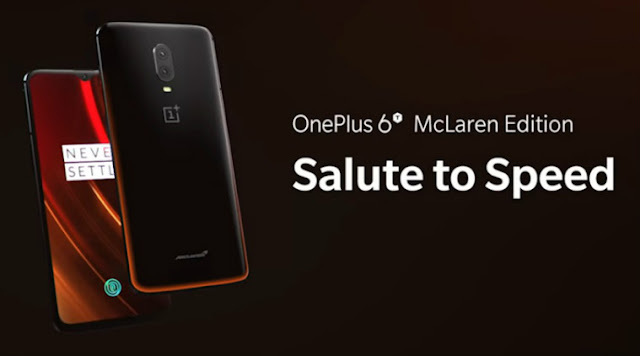 For every new flagship phone it makes a contract with company or production & release it's model with their name as a special edition such as OnePlus 5T with Star Wars Edition, OnePlus 6 with Avenger Infinity War Edition & OnePlus 6T with McLaren Edition. This device is powered with Qualcomm Snapdragon 845 SoC which is same as it's predecessor OnePlus 6 & it is Octa-core (4*2.8GHz). It is equipped with Face Unlock, rear fingerprint scanner is now replaced with In display fingerprint scanner. It also has other sensors like Accelerometer, Gyroscope, Ambient light sensor, Proximity sensor. 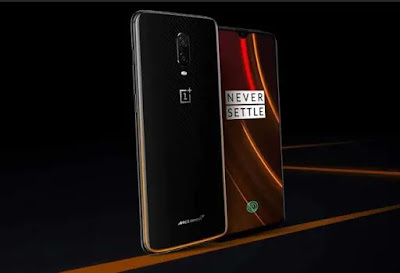 OnePlus 6T runs on Android Pie which on top is added with a skin called Oxygen OS which helps users to use Pie with some additional features given in Oxygen OS. It's hardware is loaded with a whooping 10GB RAM + 256GB internal storage capacity and doesn't support external storage. The rear camera is equipped with 16-megapixel (f/1.7) + 20-megapixel (f/1.7) which helps users to take great potraits. It also supports night photography which is added as an update called "Nightscape". The front camera is 16-megapixel (f/2.0) which is used to take great selfies with Studio Lighting enabled. Both the cameras has a support for potraits. We can also improve our potraits using Bokeh effects. We can also capture slowmo videos at 720p at 480fps & 1080p at 240fps, timelapse, panaroma etc. It also supports Pro mode which helps us to get full control on the photos we take. The display rendering is 6.41-inch Full HD+ Optic AMOLED display with 2340 x 1080 pixels resolution and an 86% screen-to-body ratio with a waterdrop notch which gives us more screen compared to OnePlus 6. There is Wifi, GPS, Bluetooth (V 5.0), NFC, USB Type-C. Sadly there is no headphone jack, OnePlus provides us a Type C to 3.5mm connector. There are 2 sim slots where both support 4G & they are Nano-sim. This device is packed with 3,700mAh battery which is more when compared to OnePlus 6. According to the reviewers they claim that we can easily get upto 4-5 hrs of SoT (Screen on Time). It also supports Fast charging which they call it Warp Charge 30 where it pumps 30W charge & as the company says "A days charge in 20 mins" is enough to make up your day. There is not support for wireless charging & as company claims it is the best in the market for a fast charge. But in the near future they might work on it. OnePlus 6T McLaren Edition is priced at Rs. 50,999 as it is equipped with 10GB RAM + 256GB storage. The successor of the Xiaomi Mi 8, Xiaomi Mi 9 has hit the rumours and it is expected to be powered by the Qualcomm Snapdragon 855 SoC and sport a triple rear camera setup. The Xiaomi Mi 9 is expected to sport a 48-megapixel Sony IMX586 sensor, 24-megapixel front camera, 32W fast charging, MIUI 10 software, 6.4inch display and a 3,500mAh battery. The Xiaomi Mi 9 had been leaked in a Weibo post, leaking it's specifications and price. The post suggests that Mi 9 may launch sometime around in March in China, and priced to be around CNY 2,999 (roughly Rs. 30,400). 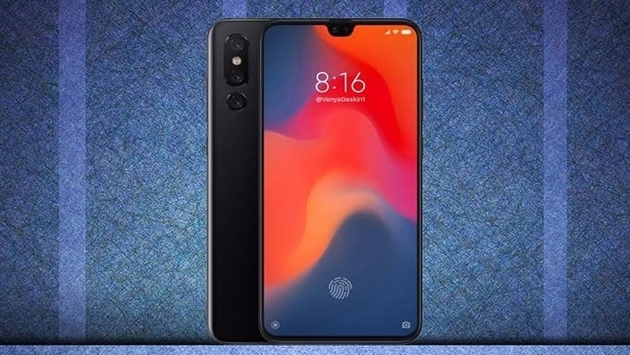 According to the reference images, this device is equipped with a waterdrop-notch, a slight chin at the bottom, a triple rear camera setup and also it comes with an in-display fingerprint scanner. As for the specifications, Mi 9 is powered by the Snapdragon 855 SoC paired with an X24 LTE modem. This device runs on Android Pie based MIUI, screen is rendered with a 6.4-inch FHD + 1080p AMOLED display with 19:9 aspect ratio. Coming to the main part, this device is loaded with 6GB RAM + 128GB storage as for the base model and we can expect more premium offerings. As for the camera it is claimed to be loaded with a triple rear camera setup- one with a whooping 48-Megapixel Sony ImX586 sensor, another 12-Megapixel sensor, and a 3D ToF sensor. For selfies, the device is integrated with a 24-Megapixel selfie Sony IMX576 sensor. as for the battery it is packed with 3,500mAH with 32W fast charging support, but there is no wireless charging support. Motorola is jumping to the new trend of the display hole for the front camera. The Motorola P40 was leaked in the renders recently and the smartphone seems to sport a display hole for the selfie camera up front with no bezel on all the sides. 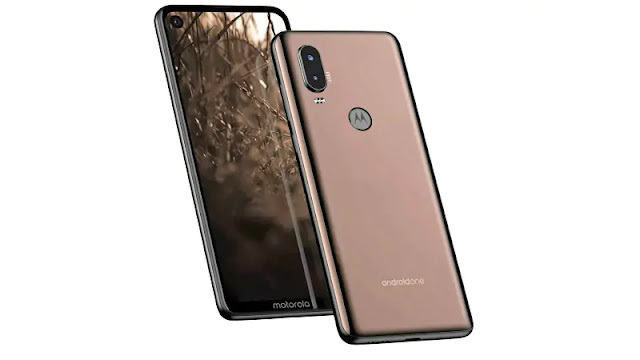 The most highlighted specification of the Motorola P40 is the dual camera setup on the back which sports a 48-megapixel sensor with a 5-megapixel secondary sensor. Twitter user Andri Yatim posted the specifications of the Motorola P40. He expects that the smartphone is going to be powered by the Snapdragon 675 SoC, run on the Android 9 Pie, house a 6.2-inch HD+ IPS display. It will be available in 6GB RAM + 64GB and 6GB RAM + 128GB storage variants. Going to the optics of the Motorola P40, It is expected to house a 48-megapixel Sony IMX586 sensor along side a secondary 5-megapixel sensor with f/1.75 aperture. The front camera will house a 12-megapixel sensor with f/1.8 aperture and some AI-based features. The rumours also suggest that the Motorola P40 has got NFC, USB Type-C port, a ,3.5mm headphone jack and will house a 4,132mAh battery.